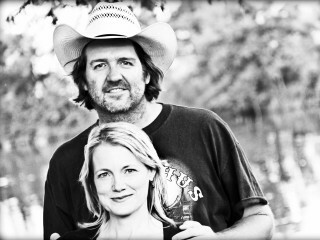 If Austin’s happily egalitarian music scene suddenly switched to a monarchy, Bruce Robison and Kelly Willis might have to learn to perform while balancing hefty crowns. The two already reign as one of Americana music’s coolest couples, and their 2014 release, Our Year, elevates them closer to the lofty territory once occupied by beloved royals Johnny ‘n’ June and George ‘n’ Tammy. Willis recently released her 12th album, Back Being Blue.